Interstitials and algorithm changes. Ad blockers. Accelerated Mobile Pages (AMPs). Publishers have mountains to climb in trying to reach their audiences in this mobile-first world. Intrusive interstitials will all but be eliminated due to Google's forthcoming algorithm change. Ad blockers are used by at least 25% of mobile users. Google's Accelerated Mobile Pages, which were previously limited to a carousel atop the mobile search engine results page (SERP) are now scattered throughout the results. Gone is the "mobile friendly" label; in its place is the "AMP" designation. 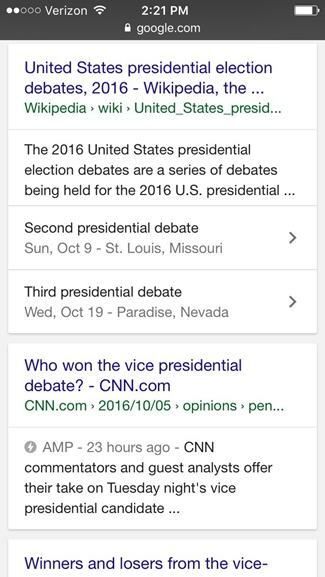 With the rapid adoption of AMP and the push to be a mobile-first world, this major change in the SERP for mobile users comes as no surprise. Yet the full impact of AMP on the purchase funnel has not been realized. Publishers continue to struggle with declines in traffic and revenue upon AMP deployment, problems that are likely to worsen with more AMP results in the SERP. According to Digital Trends, as many as 25% of smartphone users have ad blockers enabled on their phones, a number that is likely to continue trending upward. Claudia Pennington is a digital marketer, trainer, and speaker, and the CEO of Side Hustle LLC.